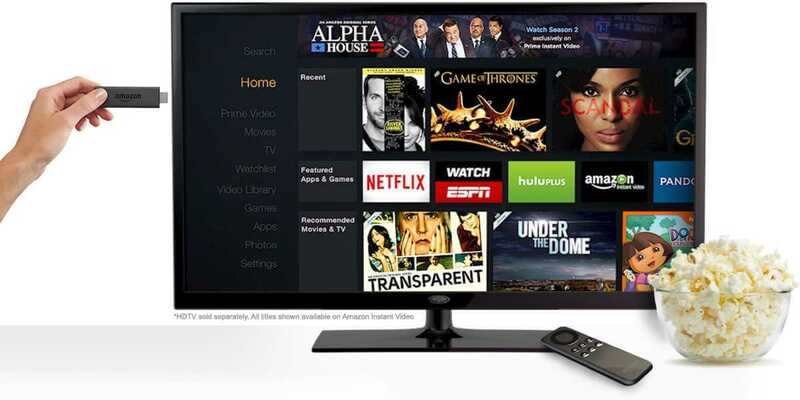 Amazon has never hesitated to publish a comparison of how their product stands up against its peers, in this case the Chrome cast and the Roku streaming device. Take a look at the comparison yourself. 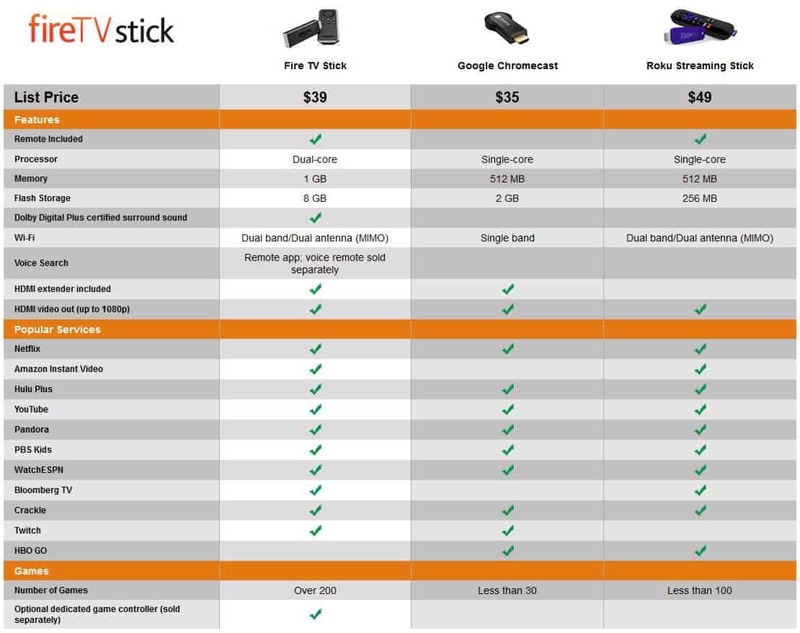 Amazon FireTV HDMI Stick or Chromecast or Roku Streaming Stick? 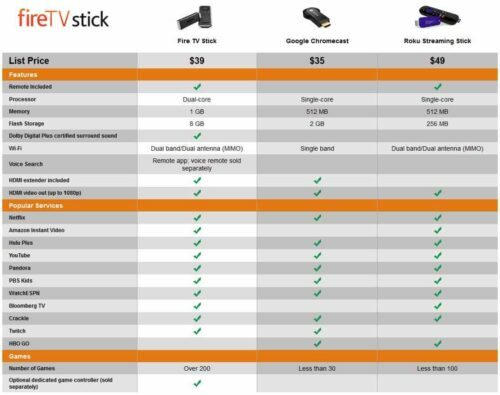 I might have sounded like an Amazon fanboy but I assure you that it is just my excitement around what might be possible with Amazon FireTV stick in the coming days (Plus, no wires = high WAF[Wife Approval Factor]). After some of the awesome developers hack into the device and find a way to root it, it could be turned into a full-blown Kodi Media Center. The hardware is more than capable of handling streaming from local network. In it is original form it definitely stands up to the Roku Streaming Stick but after rooting and installing custom ROM it could be even better. If you like voice commands though you will have to shell out extra $30 to get the capable Amazon FireTV voice remote. If you are not a fan of Kodi then no issues, you will still have a ton of use for the Amazon FireTV Stick.